A folding ramp is a great solution not to only have at your home for ease during entering and exiting, but they are also portable. These ramps fold up to a size that can easily fit into your vehicle for easy transport. 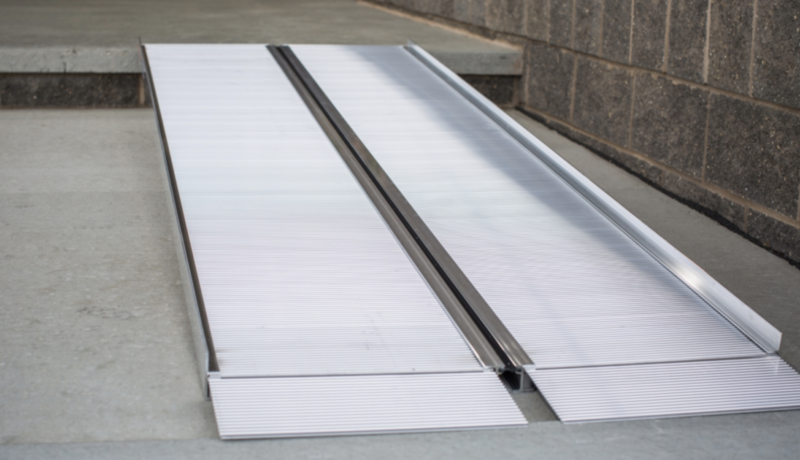 A folding ramp allows for use in multiple areas and on multiple surfaces. A folding ramp provides accessible practically anywhere. Roll-out shelves are perfect for someone who has a difficult time bending or reaching to get things in a cabinet. They are a simple and affordable way to make your kitchen work easier, can help protect you from injuring yourself. These pull-out shelves can hold anything from heavy kitchen equipment to spices, and everything in between. 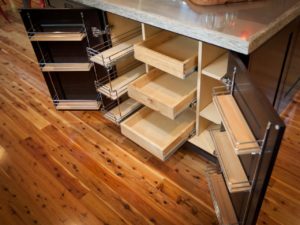 We can custom configure the shelving system, allowing us to create the exact solution you need for the way you work in your kitchen. 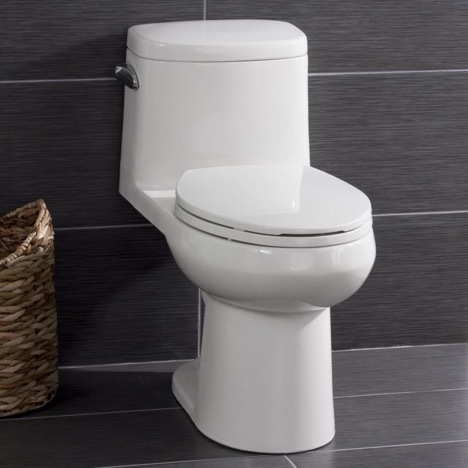 Typically, standard toilets are 14.5 to 15.5 inches from floor to the top, which doesn’t include the seat. Having a toilet that can seat you a little higher than that can provide benefits for nearly anyone, because it makes it easier to sit and stand. These Comfort height toilets are so mainstream now that government regulations require most public restrooms to use them. These toilets are perfect for anyone who has hip, knee or other joint issues. As well as, people who use a walker or wheelchair. When you use them in conjunction with properly installed grab bars, that can make the experience in the bathroom so much easier and safe. 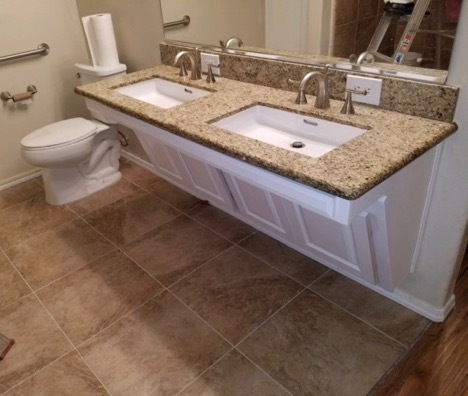 Roll-under sinks can be added to a bathroom or kitchen for several reasons. One, so that people using a wheelchair can use them easily. And, two, so a person who is unable to stand for longer periods of time (or, just would prefer to sit) can sit. Sometimes, people have them installed so they can have a sit-down vanity or do dishes without having to stand. individuals in wheelchairs can use it. Adjustable-height sinks that raise and lower with the touch of a button are also an option. 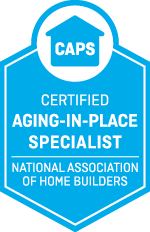 We offer a multitude of accessible products that can be tailored to each person specifically. Please contact us so that we can help you find the perfect accessibility product.